In 2001 Alley Cat Allies created National Feral Cat Day, held each October 16th, to honor outdoor cats and celebrate feral cat caregivers. As awareness has grown over the years, it has changed to now be known as Global Cat Day! According to Alley Cat Allies the update is to recognize that community cat awareness starts in our own backyard - and that our backyard might be in Oregon City, New York City, Ottawa, Paris, Beijing, or Guadalajara. We're holding a food drive to help provide resources for needy feral cat caregivers and provide extra nourishment for the cats during the winter months. DONATE a bag of cat food! 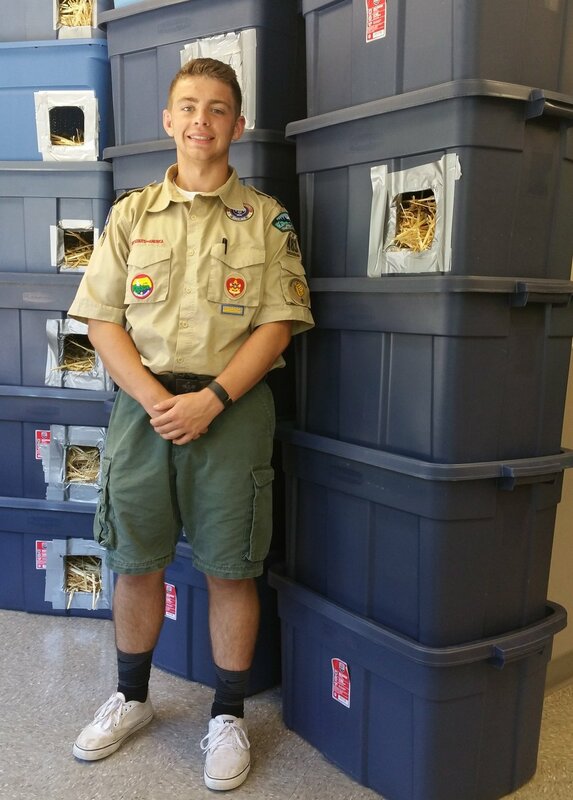 We're distributing cat shelters built as a special Eagle Scout project as well as others that our volunteers have constructed here at FCCO. We're also collecting shelter supplies and building more shelters to help provide a place for feral cats to keep warm and dry this winter. DONATE shelter supplies! Our supply list includes the following items, which can be delivered directly via amazon.com or purchased locally and brought to our clinic. VOLUNTEER to help build shelters. Send us a note and we'll let you know when we're building! NEED A SHELTER for your feral cats? Fill out the form below and we'll be in touch! To qualify for a shelter, the feral/stray cats you feed all need to be spayed/neutered. To schedule a spay/neuter appointment please call 503-797-2606.